There are currently 87,164 users on this website. 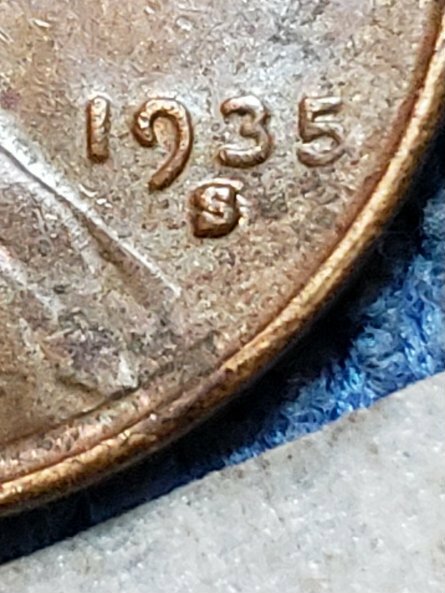 1935 S Wheat Penny S/S/S? 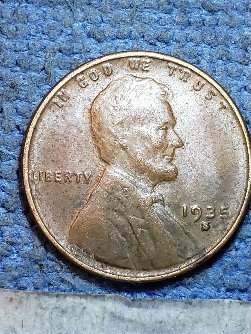 Heya guys, So this 1935 has a wierd mint mark and need some extra eyes and advice. I know back then it was all hand mints and it shows some rpm to the right north of coin unless its PMD however it dosent really show signs of PMD on coin so ill let you guys throw out you guys awesome advice, and thanks in advance. 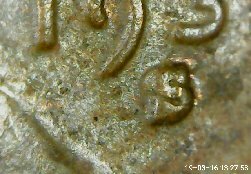 The area east of the mint mark is die deterioration. 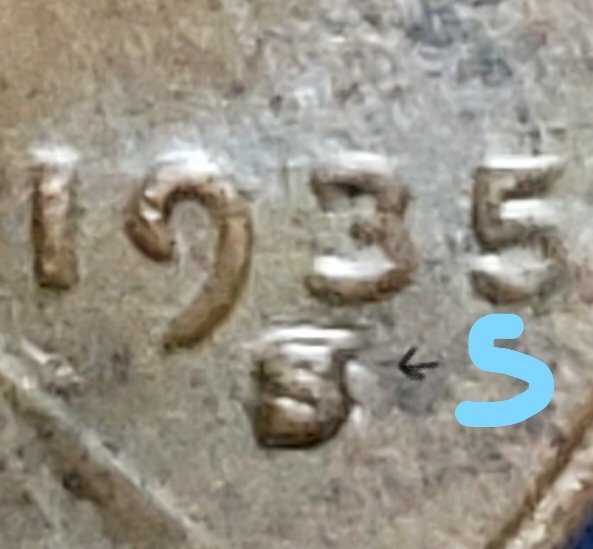 Note on the '5' you can see the same thing going on. CONECA has two listings a North and a West. Wexler list three. 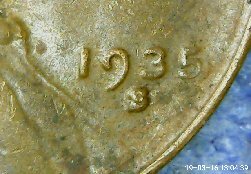 But sorry, your coin is not a RPM. Nope, not an RPM. Just Die Deterioration.